Searchengineforums.com – The forum’s focus is SEO marketing strategies and Google update reviews, and the discussions are some of the liveliest. Abacus-internet-marketing.de/foren – Allows readers to interact without the need to interact, you can just basically watch where the topic goes. 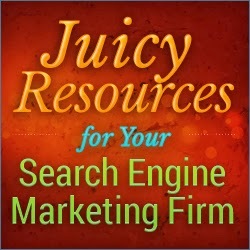 It focuses on all SEM and SEO matters. Seochat.com – This is a popular SEO forum with huge amount of information archived. Matt Cutts – He’s leading the web spam team in Google. He’s a highly respected fellow. Rand Fishkin – the cofounder of MOZ and is definitely one of the few influential people SEO-wise. Danny Sullivan – The founder of searchenginewatch.com. He’s also the editor in chief there. You could say he’s very active in social media forums. Search Engine Land – One of the most relied fastest and the most accurate source of news on the internet. This is the place for tech savvies like us. SEOmoz – This is your ideal source of strategic and tactical advice on all SEO topics. The great thing about this blog site is that it follows wikihow.com’s format –easy how-to guides. SEOBook – This site provide rich and high-quality content. The drawback is that it contains too many tech lingoes. Not recommended to beginners. In the end, being in your community is a great way to make connections and is a good source of inspiration. Search engine marketing optimization particularly is a field where you can be creative, share and communicate.